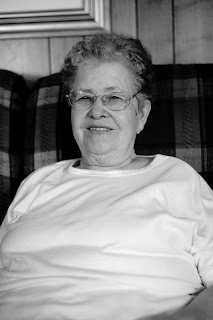 This is an image of my great aunt Edna that I made last year during a trip to North Carolina. Is it the best picture in the world? No, not really. But it is the last one of her I will ever have the chance to make. I had almost talked myself out of leaving the camera in the bag. I would be disappointed now had I done that. I'm glad I made the picture, even though it made me nervous, even though the light wasn't perfect, even though I didn't think I was going to share it with the world. It is strange even though I wasn't around her for any great length of time I feel if I could find all the words I could probably write for a while about Edna. Most of my time spent with her was when I was fairly young. Even though my memory is very good, recalling those times brings up pictures and the feelings of my surroundings, and the going ons of the moment -- I can replay the scenes, but these things aren't easy to make sense of in words. 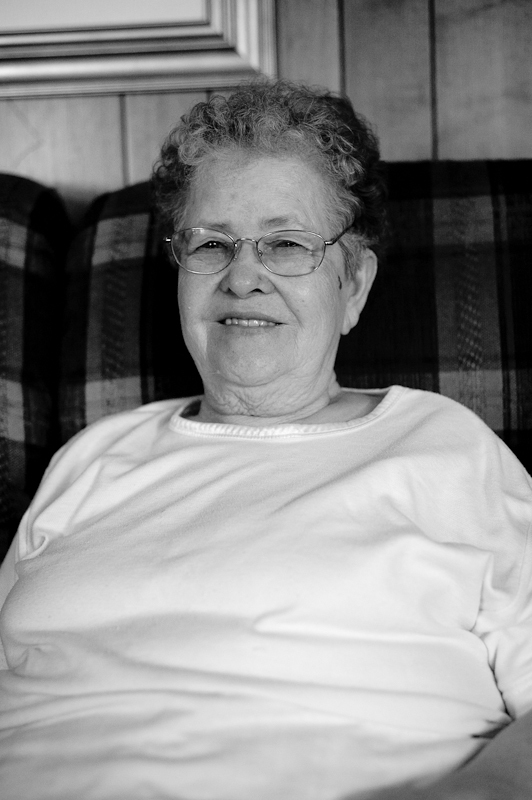 But I will leave you with some small things that are easily said: she was an amazing cook, a lady who cared greatly about other people [ she showed it through hospitality amongst other things ], and she will be missed.